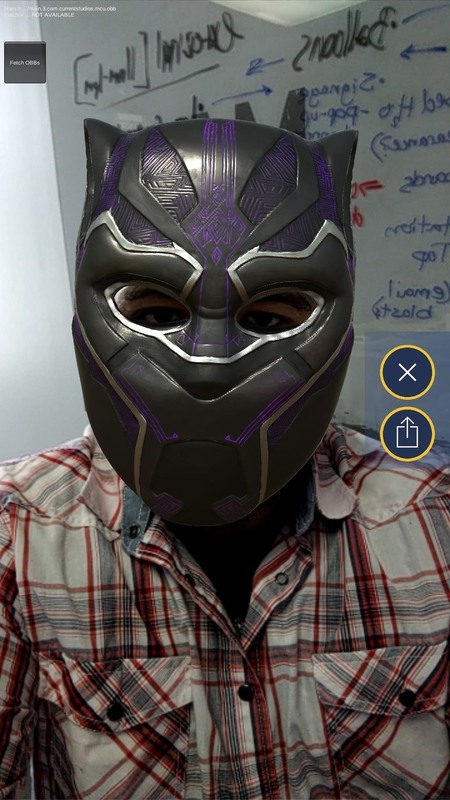 Enlisting mobile app developer Current Studios, the Explore Wakanda app for iOS and Android lets challengers to the throne wear the mask of the Black Panther and encounter animated models of characters from the film. 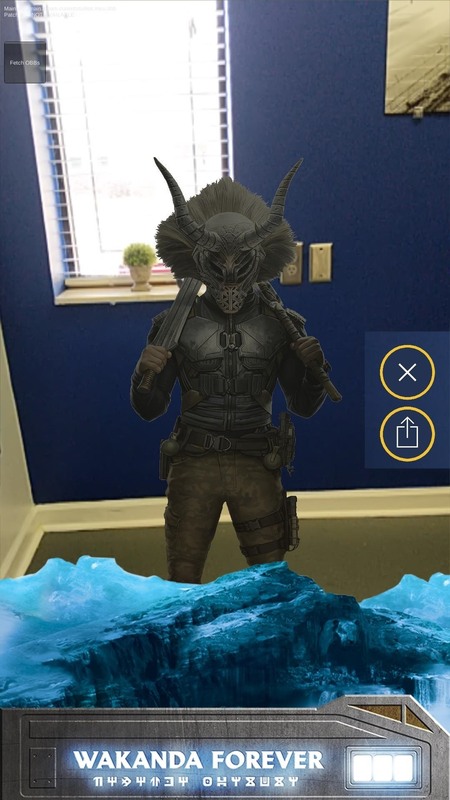 Those brave enough to make an expedition to their local Walmart can scan promotional displays in the store's heart of darkness (for parents), the toy aisle, to reveal the hidden lands of Wakanda in augmented reality. Unfortunately, in my limited testing, the quality of the app pales in comparison to the film itself. Instead of employing ARKit and ARCore, the app asks users to manually mark the floor to place characters in their space. The mask feature also caused the app to freeze in low light conditions, which is fitting, because (Spoiler Alert) Black Panther did freeze during a crucial moment in the film. It's unfortunate, because we've seen well done AR experiences through apps like Holo for Spiderman: Homecoming. Still, the content is well rendered, so the app does a decent job for fans looking for another Black Panther fix. Let's face the facts, though. The blockbuster juggernaut that is Marvel Studios doesn't need to lean heavily into augmented reality to promote its films, and a zeitgeist-capturing film like Black Panther will mine cash like its vibranium until...the next installment of Marvel's interconnected saga drops next month in Avengers: Infinity War. Selling toys, however, is less of a sure thing, as we can see with the recent demise of Toys 'R Us. Nevertheless, being able to say "Wakanda forever!" in AR is something fans will likely be eager to try.